January 1st, March 15th, Easter Monday, May 1st, August 20th, October 23rd, November 1st, December 25th and 26th. 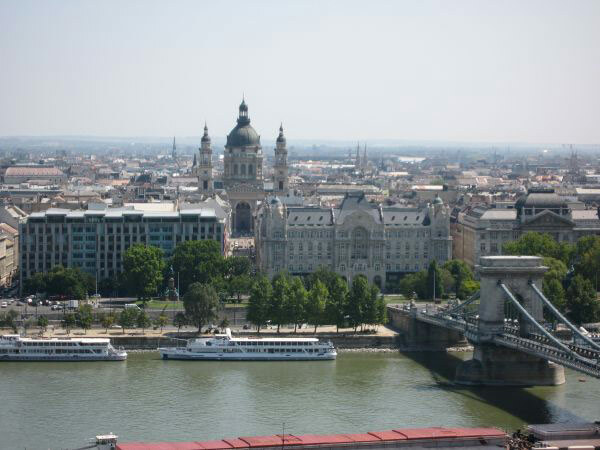 Budapest was established through the unification of three cities: Buda, Óbuda and Pest, in 1873. With a population of nearly 2 million, it represents the centre of the state administration, culture, science, industry, trade and transport. 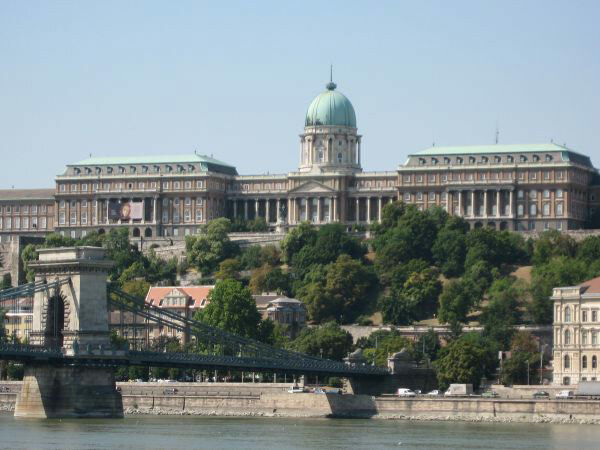 The capital is located along the two embankments of the Danube: 16 out of its 23 districts are located on the Pest side, six on the Buda side and one on Csepel island surrounded by the Danube. The Buda side of the city reaches up into the hills, while the Pest side was built on the flood plain of the Danube. The 235 m (256 yard) Gellért Hill rises on the right-hand side of the Danube, nearly in the centre of the town, offering a view of the capital. 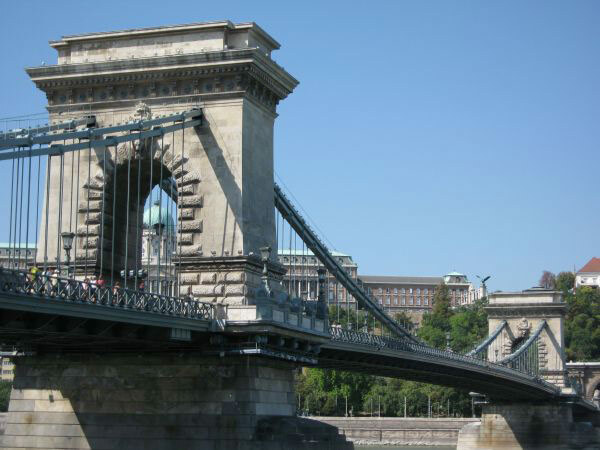 Eight public roads and two rail bridges span the Danube, in its Budapest stretch. The bridges destroyed during World War II, with the exception of Elizabeth Bridge, were restored in their original form. The Royal Castle and the Castle District restored after the war in their original style and beauty, form part of the many spectacular sights of the capital. The Castle houses the extremely rich collection of the Hungarian National Gallery and the country's biggest library, the National Széchényi Library. 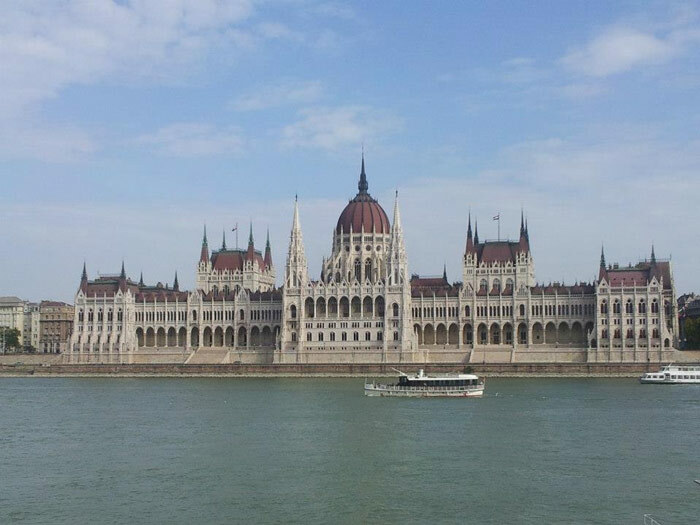 Just across on the other side of the Danube rises the neo-Gothic building of Parliament. Not far from there lies the city's most beautiful natural conservation area, Margaret Island, about 3 km (1.875 mile) long and dotted with parks, sport grounds, swimming pools and a spa hotel. The capital houses national scientific and cultural institutions including the Hungarian Academy of Science together with a number of research institutes. 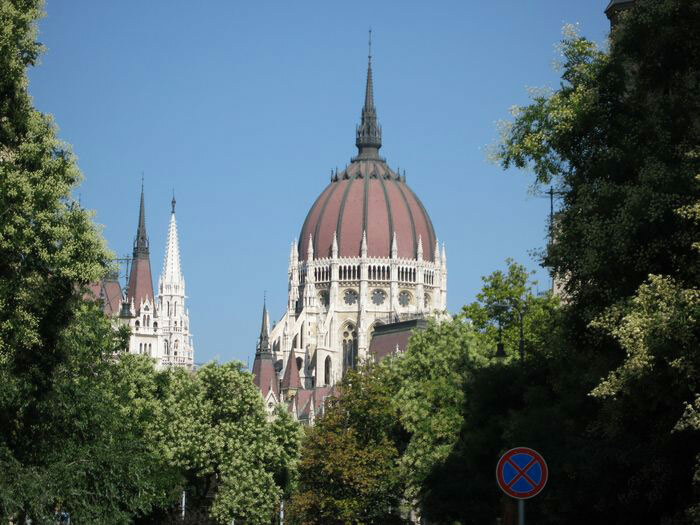 The overwhelming majority of university and college students in Hungary pursue their studies at higher educational institutions in Budapest. It is one legacy of the capital-centred structure that evolved at the turn of the century and later that seven out of the eight national main roads depart from Budapest, nine main rail lines run there, while the capital is also the hub for shipping, air traffic and bus transport. This disadvantageous position must be corrected by rearranging the transport network, regional development and by designating new motorways on a continuous basis. Three underground rail lines ease the woes of a congested public transport network in Budapest. Several rail stations have been upgraded, and there are now metro links to them. 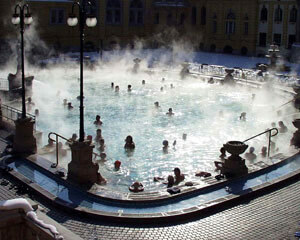 The numerous thermal and curative springs deservedly elevate the capital to the rank of "city of spas". Its spas were already being praised back in the Roman era. 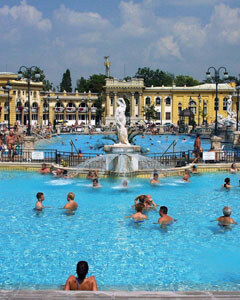 Budapest at present has 80 exploited hot water springs with waters at temperatures of between 24 to 78°C (87 to 172 F°). Twelve out of the capital's 47 spas are qualified as thermal or curative. The curative waters are mostly efficacious in the treatment of locomotion, joint, gastric and blood circulatory diseases and various gynaecological illnesses, and as a drinking cure they are good for easing digestive ailments. 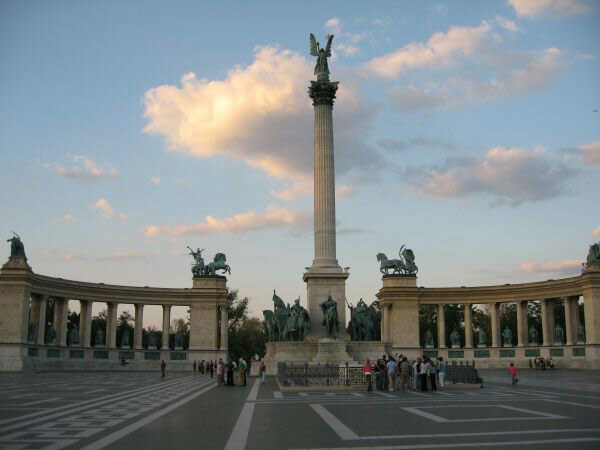 Its developed and natural assets and the marvellous scenery truly make Budapest a great tourist centre. 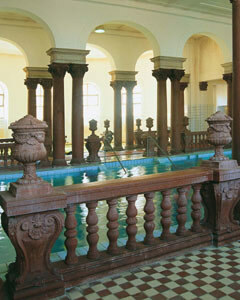 Gellért Spa - its thermal spring has been known for centuries, the well-known spa in its today form was built in 1918. Apart from medicinal steam, mud and salt bath where treatment is available, there are also public indoor swimming pool, thermal pools and steam room and outdoor thermal and swimming pool with wave machine and sun-bathing areas (open in the summer). Recommended for: degenerative articular diseases, chronic and semi-acute articular inflammations, slipped disc, neuralgia, vasoconstriction, circulatory disorders. 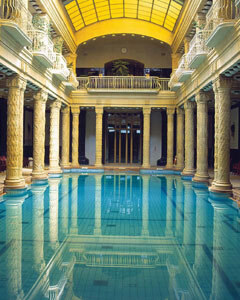 Király Baths - this impressive spa is a rare survivor of the Turkish times in Hungary and today as a listed building it represents the early Ottoman baths palace in its original grandeur. Recommended for: degenerative articular diseases, chronic and semi-acute articular inflammations, spinal deformities, slipped disc, neuralgia, osteoporosis, conditions after injuries. Hajos Swimming baths in MargaretIsland - when it opened in 1935 it was Hungary's first competition - standard indoor swimming pool. Since then 2 large open-air pools have been added. Palatinus Bath in MargaretIsland - the open-air pools are fed by the island's thermal springs. The main pool is over 110m in lenght. There are also children's pools, thermal pools, slides and wave machine. 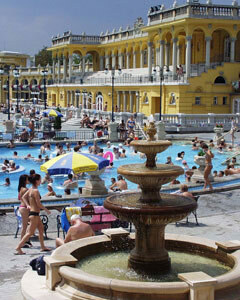 Lukács Thermal Baths and open-air swimming pool - The present bath was built in 1894, and it is among the biggest and most popular spas in Budapest. 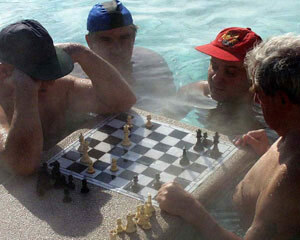 Its swimming pool is also a favourite meeting place for writers and artists. Recommended for: degenerative articular diseases, chronic and semi-acute articular inflammations, spinal deformities, slipped disc, neuralgia, osteoporosis, after injuries; as a drinking cure for chronic gastro-enterological, biliary and respiratory diseases.